Dimensions 1.9 x 4 x 9.7 inches. N/A. 8.5 x 4.3 x 2.5 inches. 3.2 x 3.2 x 9 inches. 14.5 x 9.5 x 8.5 inches. Product size 16 ounces. 10 pounds. 32 ounces. 32 ounces. 32 ounces. Matter Granules. Crystals. Liquid. Liquid. Crystals. How to Select the Best Tree Stump Removal Chemical Dissolver? 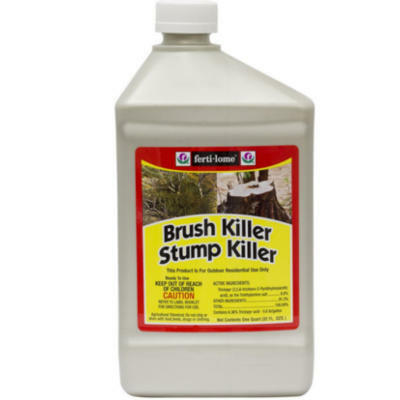 Selecting the best stump killer chemicals for the money can be tough. There are so many choices on the market, some more effective than others. If you’ve decided that a stump dissolver liquid or granule is the best option to remove stumps, we can show you several options within this buying guide. The ultimate goal is to remove a stump effectively, and a stump removal chemical can help you achieve that. Of course, the work type comes into the equation when you’re deciding on the best stump killer chemicals for the money. In some cases, a chemical might not be the best option. In other cases, it could be perfect. You need to ascertain whether the job you’re undertaking is small enough to warrant its use, or needs something more heavy-duty such as a stump grinding machine. If you choose to use dissolver liquids or granules for removing tree stumps on your property, you need to make sure you follow all safety instructions associated with that particular brand of chemical. Some require you to use gloves, mouth and eye protection due to the toxic ingredients that make up the product. If it can rot and kill the roots of a tree stump, it no doubt features chemicals that could be harmful to your health. You should also make sure you store the chemicals out of reach of animals or children. Consuming such a product could prove detrimental to your health. The efficiency of chemicals to remove tree stumps can vary from one product to the next. That’s why it pays to review each product and determine its effectiveness. Some brands work better with certain kinds of trees than other. Some products take effect quicker, or do the job more effectively. Choose a brand that you’re comfortable with and that is known to do the job. The ingredients within stump removal chemicals vary, but they generally feature three key ingredients. The first is potassium nitrate. It’s often called saltpeter and is a common fertilizer which is high in nitrogen. The second is triclopyr which works to remove unwanted woody plants and vines. The third most common ingredient are two kinds of acids – sulfuric or nitric. These three key ingredients are most commonly used due to their effectiveness in not only killing trees, but shrubbery and other plants as well. The best thing about tree stump removal chemicals is how easy they are to use. You simply drill holes in a tree stump and pour the solution in. You don’t have to worry about maintenance for different makes and models of machinery, refuelling or other machine-related tasks. It’s a preferred option by homeowners who only require one or two stumps to be removed. Stump removal chemicals are relatively cost effective. You can buy them online on websites such as Amazon for a very competitive price. Unlike stump grinders, they are affordable for almost anybody so you don’t need to open up your wallet too far. It speeds up the decomposition process. The bottle is easy to pour from. It doesn’t kill surrounding vegetation. You have to use a brush killer product on it before you use the stump killer product. Many users note in reviews that it’s not very effective on larger stumps. It can take days to take effect. 16 ounce bottle of Spectracide granules. Dimensions: 1.9 x 4 x 9.7 inches. QDoes it contain potassium nitrate? QDoes it help you remove dead or live stumps? Reviews of this stump killer chemical have been mixed. Although it’s for sale on the market at an affordable price, it doesn’t seem to be overly effective for all kinds of tree stumps. Some users note the rotting process started within a few hours, whilst others said months had passed and there was still no change. It can be difficult to know whether users follow the instructions properly, or whether it’s an ineffective product. However, for the price, it’s well worth giving it a try to see if it’s a good option for you. Check out what other people who purchased this product think about it. 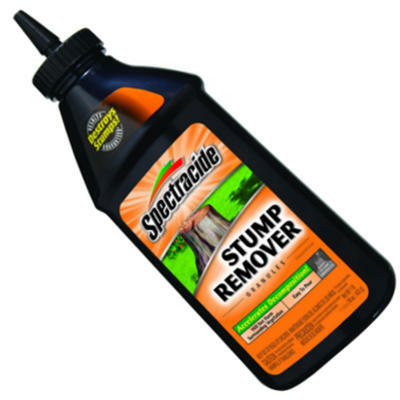 Read Spectracide HG-66420 stump removal chemical/liquid reviews. You can use it on several tree stumps. The bag’s not resealable, therefore it can be hard to store safely. Some users note the bag weighs less than the 10 pounds advertised. 10 pound bag of Seed Ranch. QCan this be used for other tasks other than killing stumps? AYes, it’s a multi-purpose product. QHow long does it take to start killing the root system and stump? 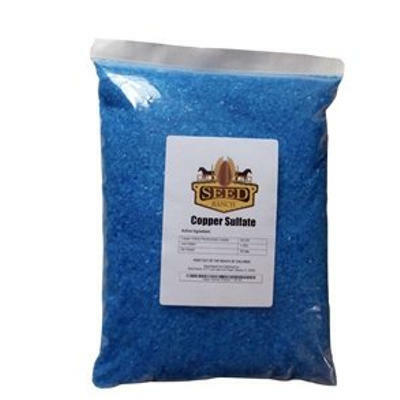 If you don’t want to buy one product to complete just one task, this product from Seed Ranch is a good option. Not only can it remove tree stumps, but it can also kill root systems within your sewer system, ponds and so much more. The bag size in comparison to the price also shows you get excellent value for money. It’s a highly regarded product and has been spoken favorably of in reviews. It’s one of the best stump killer chemicals for the money. Check out what other people who purchased this product think about it. Read Seed Ranch stump removal chemical/liquid reviews. It can be used on vines and poison ivy, not just stumps. It’s in an easy-to-brush liquid form. It kills plants so you have to make sure plants you wish to keep aren’t growing near the tree stump. It requires more than one application on larger tree stumps such as Oak. 32 ounce bottle of Fertilome. Dimensions: 8.5 x 4.3 x 2.5 inches. QDoes it need diluted for tree stump removal? ANo. Apply with a brush straight from the bottle. QDoes it dissolve the stump? ANo, it kills it to allow for easier removal. QWhat percentage of triclopyr is it? If you’re a lifestyle block owner or a homeowner, you’re sure to see the benefits of Fertilome. Many users of this product are happy with how effective it is at killing stumps with ease. It’s cost effective, has easy-to-follow instructions and doesn’t discriminate between particular types of trees. Overall, it’s one of the best stump stump killer chemicals for the money. Check out what other people who purchased this product think about it. Read Fertilome stump removal chemical/liquid reviews. It kills tree stumps and plants right down to the root. It’s top rated in many reviews. It doesn’t speed up the decay process so the stump killing process is relatively long. 32 ounce bottle of PBI Gordon. Dimensions: 3.2 x 3.2 x 9 inches. QDo you have to add other chemicals to it to make it work? QDoes it speed up the decay process? ANo. It simply kills the root structure to enable the stump to die. QIs it a thick or thin liquid? If you’re not concerned about the length of time it takes for your tree stump to rot away, this is the product for you. 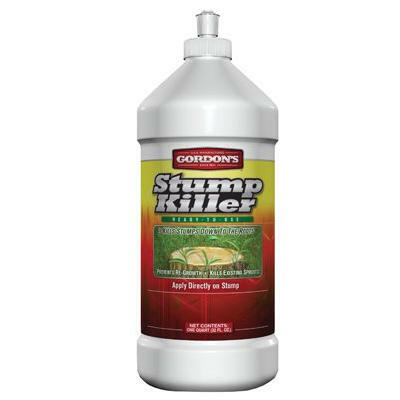 PBI Gordon stump killer works by killing the root structure so the tree stump no longer grows. Although this is a rather quick process, the product doesn’t have any ingredients to speed up the dying process. This means you will have to wait for some time until nature takes its course. However, it’s top rated on the market and works well in comparison to some other stump killing chemicals on the market. Check out what other people who purchased this product think about it. Read PBI Gordon stump removal chemical/liquid reviews. It takes quite a while for the root structure to break down. It’s more effective at killing roots within pipes than it is for killing stumps. Dimensions: 14.5 x 9.5 x 8.5 inches. QIs this a permanent solution to stopping plant growth? QCan it be spread around a root or tree stump? ANo, a hole must be drilled and the product inserted. QHow quickly does it kill root growth and stumps? 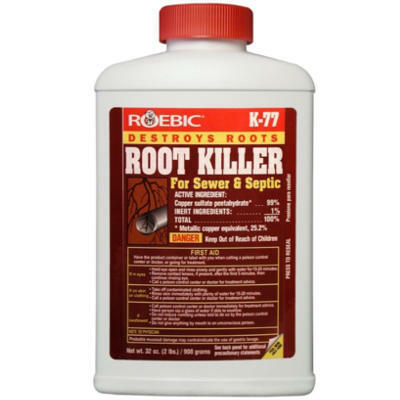 If root structures within your pipes are giving you trouble, Roebic Laboratories K-77 is effective at solving the problem. Although it’s more suitable for plumbing-related root issues, it can work just as effectively when drilled into tree stumps. It features the same ingredients as several other stump removal products on the market, and is priced well for many consumers. It’s not suitable for use in all states within the US but is a good option for many homeowners looking to solve septic tank and sewer issues. Check out what other people who purchased this product think about it. Read Roebic Laboratories K-77 stump removal chemical/liquid reviews. Where to Buy Tree Stump Removal Chemical Liquid? Depending on the manufacturer or brand, tree stump removal chemicals can be purchased from a range of places. If you’re looking to get the best deal though, you are best to buy online. Amazon is one of the many websites which feature competitive pricing to help you remove those unwanted tree stumps.